U.S. National Security Adviser meets Turkish Ambassador, discuss detention of American pastor in Turkey. 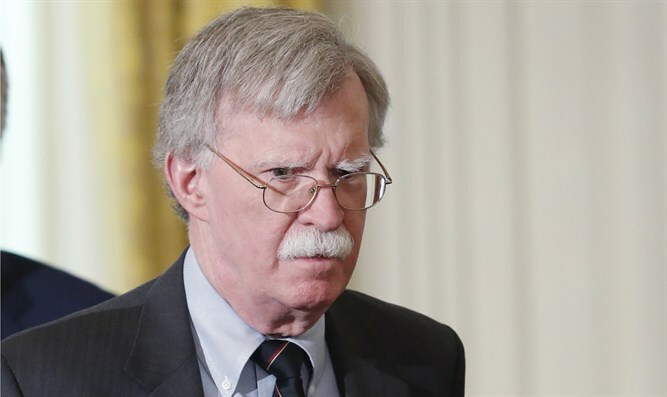 U.S. National Security Adviser John Bolton met on Monday with the Turkish Ambassador to the United States, Serdar Kilic. The case of Brunson, who has been detained in Turkey for more than a year on terrorism charges, is one of the factors that have led to a recent deterioration in relations between Washington and Ankara. President Donald Trump last week imposed higher tariffs on imports from Turkey, including a 20 percent duty on aluminum and a 50 percent duty on steel. Brunson is accused of working with Fethullah Gulen, an Islamic cleric who Turkish President Recep Tayyip Erdogan claims orchestrated a failed coup in 2016. In addition, a dispute between the countries began last October, when the U.S. mission in Turkey reduced visa services in response to a U.S. mission employee being detained in Turkey. In December, the U.S. and Turkey resumed full visa services for the other country.